In August our beauty editor, Vasudha Rai’s book hit the Indian market. 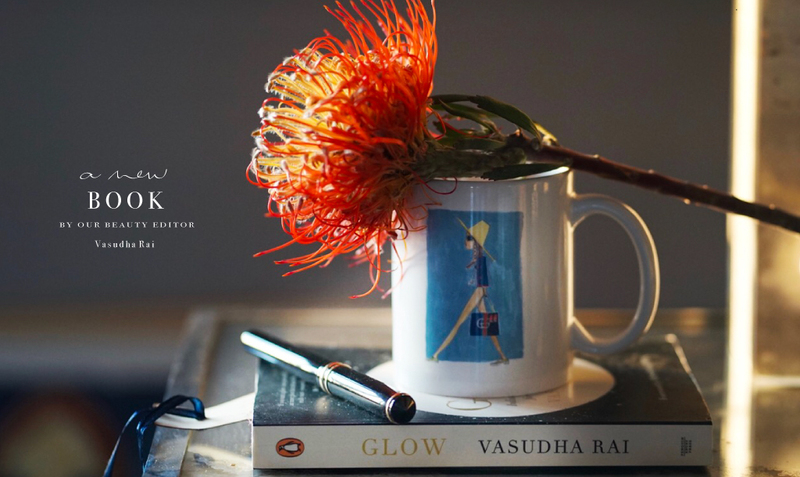 Titled Glow: Indian Foods Recipes and Rituals for Beauty Inside and Out, the book covers 60 Indian ingredients and more than 100 ways to eat or apply them. The book became the number one bestseller in lifestyle as soon as it was available for pre-order, a status that it has maintained more than a month after the actual launch. 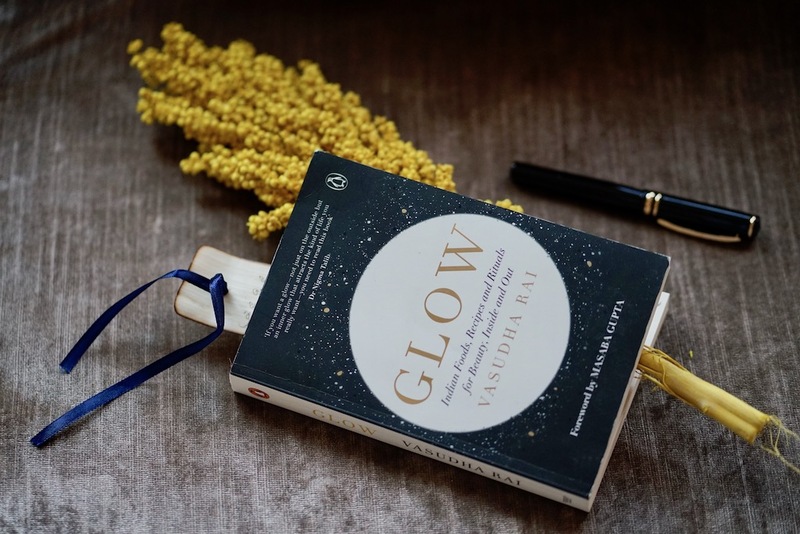 Now as Glow goes into its second reprint, we list the reasons why this new book could just be the new-age beauty bible and why you should read all beauty features at Irmasworld by our beauty editor Vasudha. It redefines the idea of beauty. When people think of the word beauty, it is only in relation to outward perfection. However Glow attempts to change this idea with four pillars of beauty, namely: Vitality, Clarity, Radiance and Peace. Vitality stands for energy and strength, and the first part of the book is dedicated to healthy fats (ghee, coconut and mustard oil), grains (rice, millets), herbs (ashwagandha), other Indian foods (munakka and gondh). All these increase strength and energy in the body. Clarity is the second part of the book and here you’ll find herbs that purify the blood and detoxify the liver such as neem, turmeric, and rare Himalayan rhizomes such as katuki. 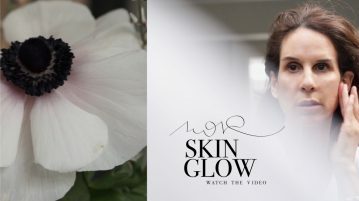 The third part, Radiance, lists out all antioxidant-rich flowers, berries and greens that make you light up from within. The most interesting part of the book is Peace, which lists herbs such as saffron and holy basil that calm the nerves and relax the mind. It talks about taking care of your body from the inside out. Unlike other beauty books that only focus on cosmetics, Glow breaks it down to the basics. At the end of the day, you are what you eat, and this new book really brings that point in focus. According to the author beauty begins not just what we eat but also how we think. While cosmetics do have a role to play, true, everlasting beauty always begins from the inside. It contains beauty foods you’ve never heard of. While ghee, turmeric and ashwagandha have made their mark in the world of wellness, India is a treasure trove of healing herbs and potions. 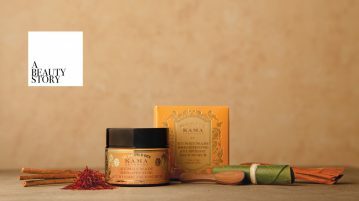 Glow introduces us to Triphala a detoxifying, fortifying, antioxidant-rich ayurvedic powder. Then there’s Katuki, which is a powerful liver detoxifier – just a pinch of this herb cleans out the system and treats long standing conditions such as fatty liver. 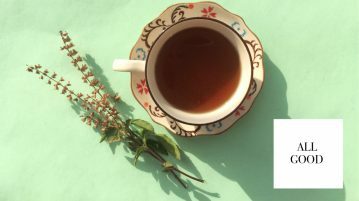 Then there’s Jatamansi, a Himalayan herb that is endangered, but is so good for peace of mind. And White Pumpkin, which, according to ayurveda is the most superior amongst all climbing vegetables. It’s written by someone who is an accomplished beauty writer. 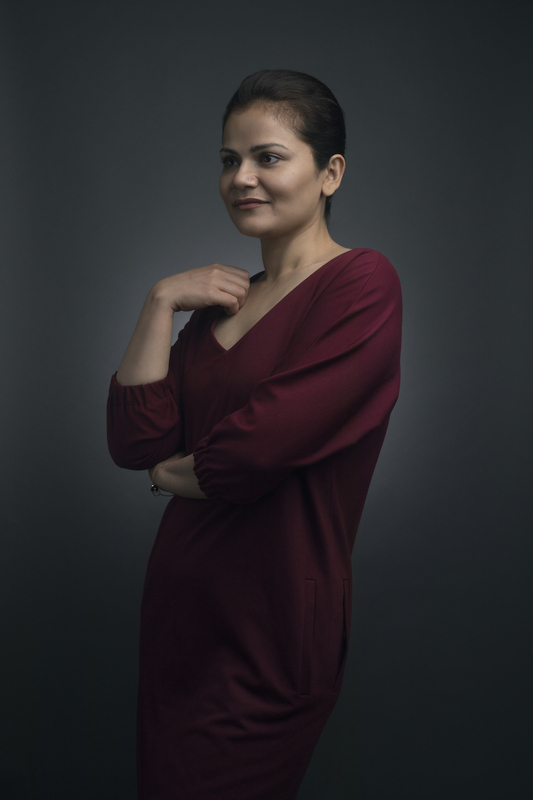 The author Vasudha Rai has been writing on beauty since 2002. She was the beauty director for Harper’s Bazaar, Cosmopolitan and Women’s Health. Currently she runs a beauty column in The Hindu, which is India’s national newspaper. 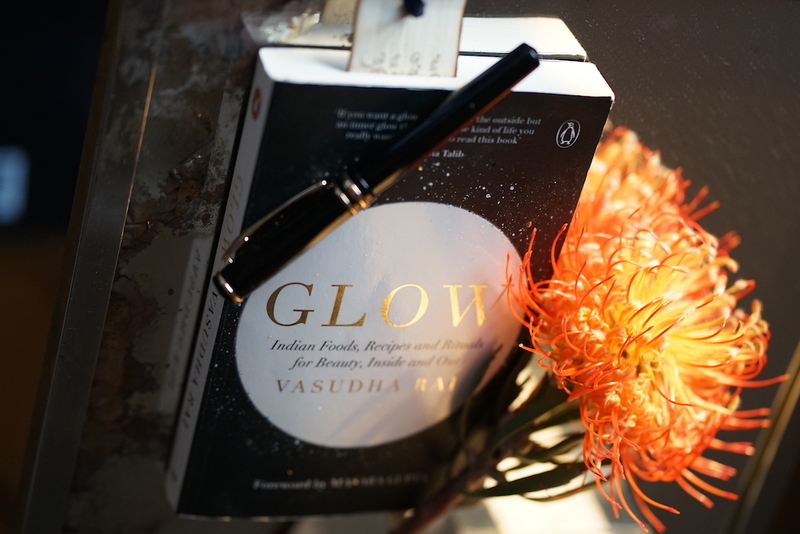 Vasudha is also a yoga teacher, but the best part is that Glow is written from a deeply personal experience. Vasudha has struggled with grade IV endometriosis for over a decade. Most of the ingredients in the book are recommended because they helped her in one way or another. It contains application tips and recipes with every ingredient. The book isn’t based on Vasudha’s experiences alone. There is a 5-member expert panel that has consulted with her on this book, which includes a sports nutritionist, two ayurvedic doctors, a naturopathic chef and a herbalist. The book includes recommendations of exact quantities, methods, and recipes that will help you utilise the ingredients in the correct manner. From a coconut and clay toothpaste to a mung bath powder, you can make these recipes at home. … and not to forget the Indian tradition of ayurvedic medicine and Yoga make a beauty editor like Vasudha a much knowledged writer who makes us also see beauty, health and inner balance from a different point of view.